Orthopedic urgent care serves to bridge the gap between an emergency room visit and an in-office orthopedic assessment. 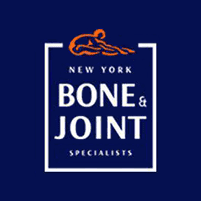 New York Bone & Joint Specialists offers orthopedic urgent care at its New York City locations, including the Upper East Side and Midtown West. If you find yourself with a sudden bone or joint health condition, contact the practice immediately to determine your next steps and schedule an urgent care visit, if necessary. What is orthopedic urgent care? Many joint health issues develop gradually. You may notice an increase in discomfort, occasional swelling, and stiffness that grows more severe over time. In other instances, however, a joint health problem occurs suddenly, with little warning. You might be involved in an auto accident, sustain a sports injury, or even suffer a simple fall that creates significant joint pain and other symptoms. If the damage doesn’t rise to the level of a medical emergency, orthopedic urgent care can help. What should I do in the event of an orthopedic emergency? If you’re involved in an auto accident or another traumatic injury, your first step should be to secure your safety. Assess your condition and call 911 if there is significant or uncontrolled bleeding, obvious broken bones, or if you have serious chronic health issues. Otherwise, contact New York Bone & Joint Specialists to receive guidance on how to proceed. When should I see a specialist for urgent orthopedic issues? How can I prevent orthopedic injuries? There are certain injuries that simply can’t be prevented. Examples include auto accidents, violent crime, and other accidents that occur on the job, at home, or during athletic pursuits. Follow established safety standards and attend ongoing safety training sessions. Maintain a high level of vigilance and situational awareness while on the job. Reduce trip hazards throughout your home, especially as you age or if you experience vision, mobility, or stability issues. Don’t attempt home repairs that are risky or beyond your skill set. Always wear protective equipment for your sport or fitness pursuit. Increase your training intensity gradually, giving your body a chance to strengthen and adapt to new exercises. Even with these precautions, it’s still possible to sustain an injury. In that case, reach out to New York Bone & Joint Specialists right away to schedule an appointment for orthopedic urgent care in NYC.